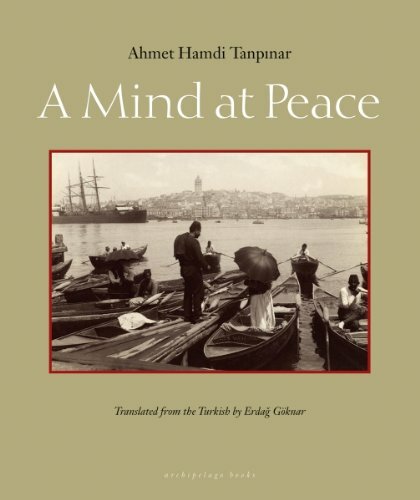 “While lengthy, A Mind at Peace is a magnum opus, a Turkish Ulysses, and a lyrical homage to Istanbul. With an innate awareness of how dueling cultural mentalities can lead to the distress of divided selves, Tanpinar gauges this moment in history by masterfully portraying its register on the layered psyches of his Istanbulite characters. Surviving the childhood trauma of his parents’ untimely deaths in the early skirmishes of World War I, Mümtaz is raised and mentored in Istanbul by his cousin Ihsan and his cosmopolitan family of intellectuals. Having lived through the tumultuous cultural revolutions following the fall of the Ottoman Empire and the rise of the early Turkish Republic, each is challenged by the difficulties brought about by such rapid social change.